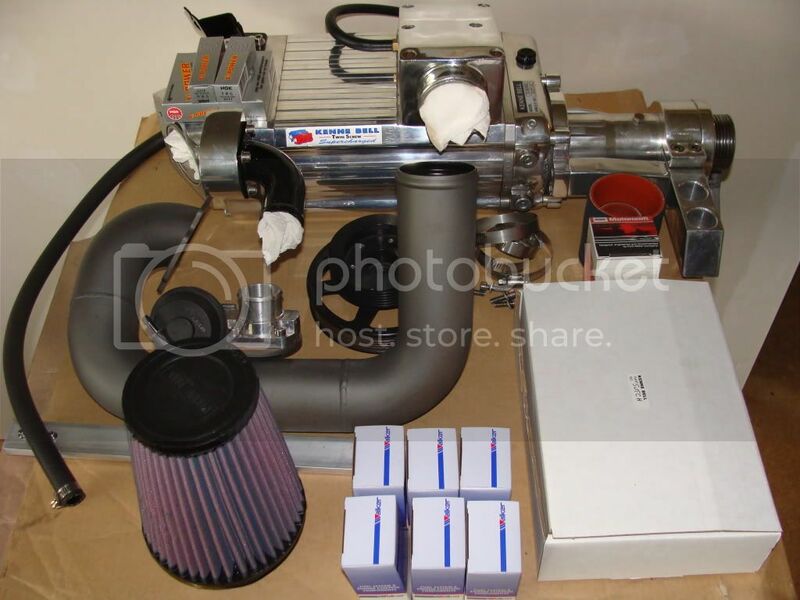 This is the complete supercharger kit from kenne bell. Fits 3.0 dohc engine. Also included are a ton of extra's. Everything you need down to the small parts are here for the install. Even the kenne bell programmed diablosport chip. I bought it off of a member here and have decided to sell it. Supercharger was checked out and is ready to go. Will take 1800.00 shipped or trade something of equal value. Bikes,guns,cars, you never know make me an offer. Let us know your parts needs! We will work to get you the lowest possible price! an supercharged escape would be a great sleeper! 2003 Sonic Blue SVT Cobra - 711 RWHP @ 671 TQ @17psi. Kenne Bell 2.8, FRPP Modular Boss 5.0 block, Big Bore 324ci, with full stroker kit, JDM Stage 3 Heads, Custom Grind Cams and alot more. 4,900 original miles..... Currently at Street Lethal Performance for a makeover! That was my original intent. But I found something else I want! Thank Goodness that this cannot fit on the focus! Plus I have to finish paying for the 9inch! Will be out soon. Best of luck with sale! Wonder if it would fit a hybrid ? I'm not 100 percent sure I know it will fit the 3.0 dohc.